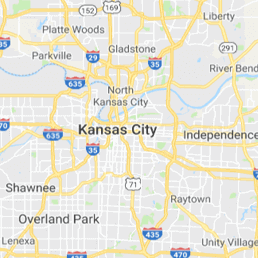 911 Restoration Kansas City Metro will make sure that Shawnee homeowners receive quality water damage repair and restoration whenever leaks start becoming a major concern. When faced with an issue like roof leaks, sewage backups, drywall flooding, or pipe bursts, you can count on our water damage Shawnee leak repair technicians to take on your water woes with the best solutions. If you’re looking for a fresh start, 911 Restoration is the company you can always turn to. Our licensed, insured, and bonded water damage Shawnee flood extraction experts will take on even the worst emergencies like flooding and storm damage. 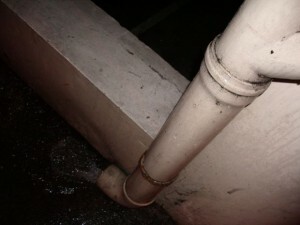 When the roof springs a leak, let us work on the problem right away. To restore your home as soon as possible, you can expect our technicians to be there within 45 minutes of your emergency call. Our water damage Shawnee moisture removal pros are available 24/7 to offer assistance any time you need leaks of any kind repaired and water extracted. So even at the crack of dawn or in the middle of the night, our water damage Shawnee team will always be ready to provide the restorations that will give your home a fresh start! Look for warning signs like rust on pipes and low pressure in the faucets. These are indications of potential problems your plumbing system and being able to detect and repair these issues early can help in preventing bursts. Repair roof damage like missing or curling shingles, or damaged flashing immediately. Repairing these issues early on can help you in preventing roof leaks from occurring. Keep your gutters clear of leaves and debris. This will prevent clogging which can cause water to spillover and damage the roof or foundation. Check the hoses and connectors for any signs of wear and tear, and replace them if necessary. This will help you prevent any leaks or bursts. Be mindful of what you flush down the toilet. Flushing grease, oil, or hard paper can lead to clogging which can turn into a sewage backup in the long run. For effective and thorough repairs and restorations, our water damage Shawnee disaster repair team will be using the advanced drying equipment and techniques to extract water and remove moisture from your home. We work with your satisfaction and convenience in mind, so we will also assist you in filing your insurance claims for your convenience. 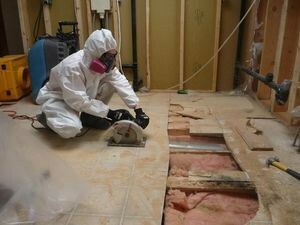 Whenever you need water damage situations like roof leaks, pipe bursts, sewage spills, flooding, or mold growth taken care of by professionals, you can always turn to the water damage Shawnee leak restoration team from 911 Restoration for assistance. Give us a call today!